Pour a little salt, we were never here"
This post's TUNE comes from Bon Iver. Now I'm sure you know this tune from Birdy,but this was originally a song by these group of talented individuals. This song is beautiful, I love the lyrics, I love the tune, I love his voice, I think that covers all bases to love! You really need to check out this song, and I think that in some weird way it really suits my outfit... yes I am strange! You can check out the song here, and take a wee peek at their website here. I can't help it I must be some sort of horder, instead of throwing old clothes away I stick them under my bed, I can't bear to get rid of them... But it's lucky I didn't because when I rediscovered this dress the other day I was so happy. It's about 5 years old now, wow, and has survived well, I absolutely love it. I also enjoyed going shopping under my bed in all my old clothes, a heck of a lot cheaper than normal!! Anywho, I love this dress with my lovely brogues (which are also kicking on a bit) as it gives it a bit of a cute geeky look, when is that ever not good?!?! As usual, I'm a freezer, so a coat is essential, and this oversized boyfriend blazer works particuarly well. Add to the mix my over used Camden Satchel and there you go. I'm starting to realise I really need to buy some more bags, I seem to have a limited selection, I can't help it, I just really love my satchels so much that I just wear them with everything! So anyway, a new bag is definitely on the shopping list! This is a really pretty outfit, Love the dress! Great outfit I love that jacket! and your dress is so pretty. you look great. 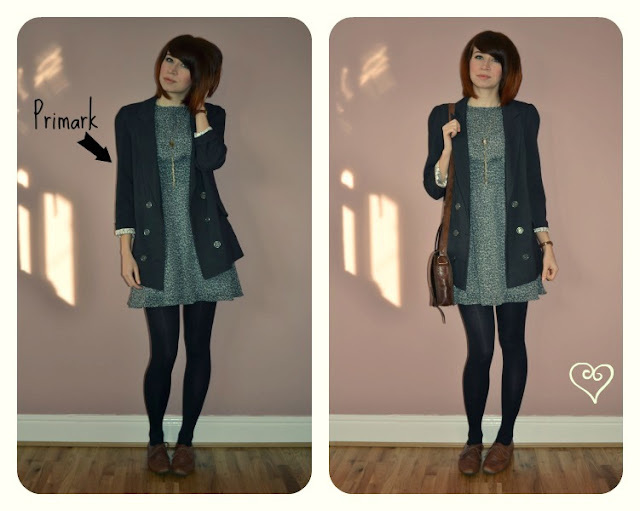 Pretty outfit, love the blazer and dress! Great dress, and love the nails!!! Your dress is too cute. I love your whole outfit!! I'm so jealous of this dress! I wish it was still in topshop so I could have one! I'm a new blogger, follow back? Ah, I love Bon Iver! What a sweet voice and a lovely song. Really like the dress- the print is so pretty and I love the volume in the sleeves! I love the dress! I am the same way with clothes, I just cannot get rid of them. And it comes out handy cause sometimes I rediscover things, like you did with this dress! This is such a nice outfit, OMG and I love your hairstyle! Thanku for your lovely comment!! We loved your blog...! The dress is great! I tend to keep things as well! Which is when my Mom told me that I should throw away things that have been at the back of my closet for at least 2 years. It works! ah, i just love this outfit! i adore this dress and i love your hair. you are lovely! you look so adorable and lovely *_* i love your dress ! I'm terrible at throwing clothes too...what if I need them someday?! 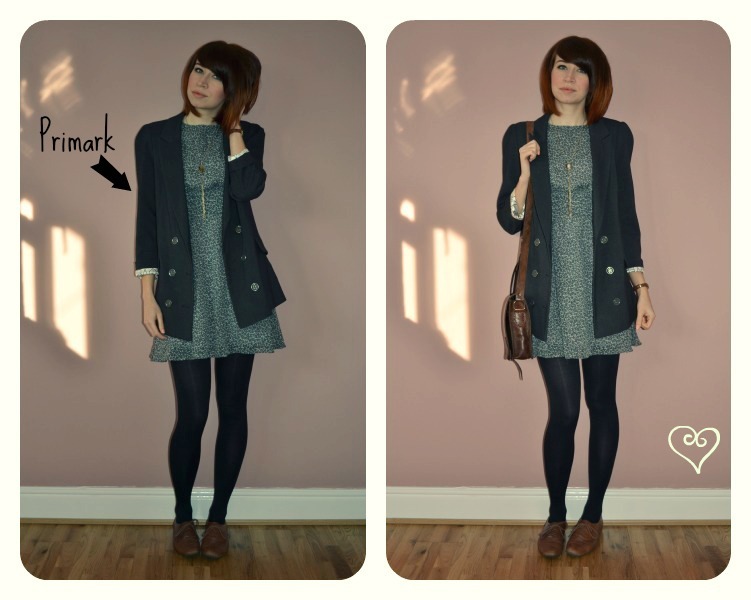 :) LOOOVE your cute printed dress and jacket combo, it's darling! And your haircut is absolutely fetching too. 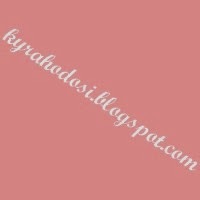 I am the first time on your blog and it is so old school but so nice! Lovely outfit and so cheap! Great inspiration! Love this look and how you've arranged these pics! Wow, love your outfit. You look great! Love that song! Your dress is adorable - and I love your hair! I love your nail colour! What nail polish did you use?? I need it in my life lol! I love your quirky style keep it up! Following you! 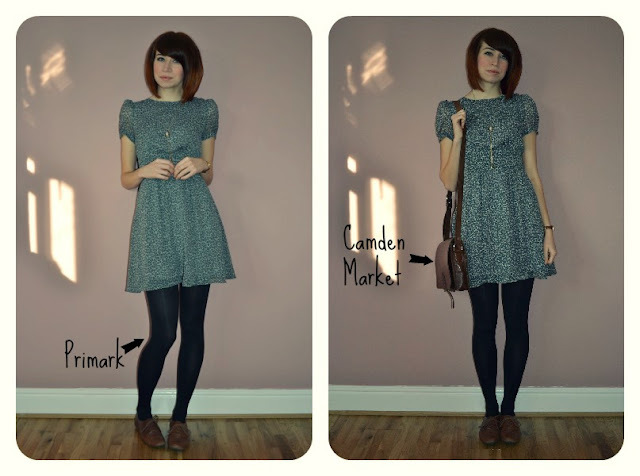 Super cute dress love it, looks so good with your hair style. btw. 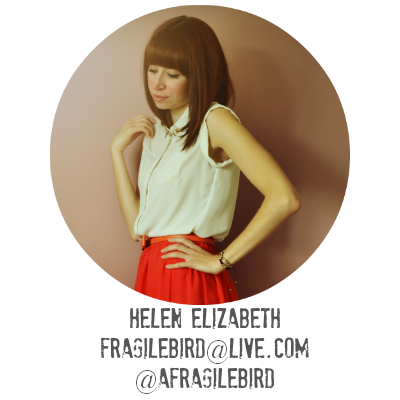 your blog header is adorable. I LOVE that Birdy Song---her voice sounds like an angel!!! And she does another amazzzzing cover, I think by MGMT! She's cool! LOVE that Topshop dress-----amamzzzzin! nail color is perfet with this dress!lovely dress! Very very cute blog! I love it!! you look beyond adorable! love the dress, bag, and shoes! I've always wanted to go to camden market.... it's on my list! I'm sure I would go crazy shopping there! 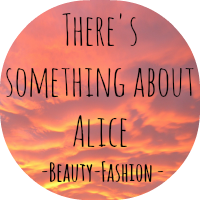 such an amazing blog and I've followed you. that blazer is your boyfriend? cool! the shoes is my favorite too. great outfit! and i love bon iver! I love this super cute chic outfit! OMG I LOVE THIS <3 Love the shoes with the dress. You look beautiful. 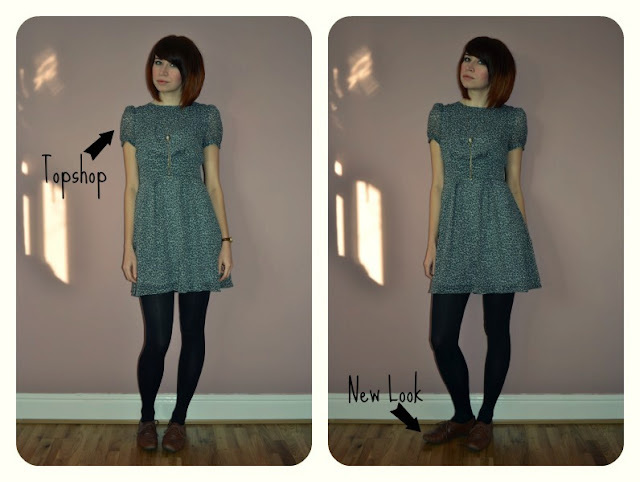 Thank you for comment on my blog :) I love this outfit now following.